Uc browser is known for fast download and surfing because of their most intelligence integration which compresses words format therefor making it ultra fast. But of recent i noticed their update on UCbrowser Pc version. Where they include Free Ucbrowser WIFI inbuilt sharing, what this means is that you get to share your modern network using the UCweb WiFi software to different user. Even to various devices is with ease. Why Should I Try It Out? + The most interesting aspect of it is that it doesn't affect or alter the speed even if other user is connected to it. 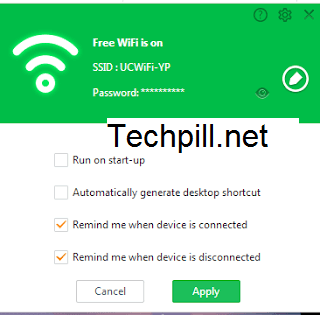 Just launch the recent Ucbrowser For PC go to settings Gear and activate the free WiFi by turning it on on your PC. Its as simple as that! enjoy Uninterrupted speed. Are you familiar with this before? what was your experience? why not try it out if you have not.